Former Tottenham and Middlesbrough striker Mido says that Salah is happy to stay at Anfield until at least the end of his contract in 5 years time. Mido spent several years of his career in England and played for a whole host of clubs across the country including Spurs, Wigan, Middlesbrough, West Ham and Barnsley. He also earned 51 caps at international level with Egypt and carved out an impressive reputation for himself as a strong centre-forward capable of giving any defence a difficult game. 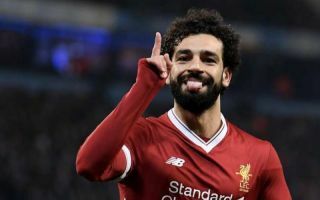 His fellow countryman Mohamed Salah knows all about the English game now too and has even surpassed Mido in terms of prestige over the space of just 12 months in a Liverpool shirt. The 26-year-old striker moved to Anfield last summer from AS Roma and went on to have not only one of the best debut seasons a foreign export has ever had in the Premier League but also one of the best individual seasons in the competition’s entire history. Salah scored 44 goals in 50 games for the Red’s as Jurgen Klopp’s men finished 4th in the league and reached the Champions League final, wowing supporters and football experts alike with his amazing dribbling skills and unerring composure in front of goal. According to Sky Sports, the Egyptian star signed a new five-year contract with the club in the summer and Mido believes that he will at the very least honour that commitment. Salah made a great start to Liverpool’s latest Premier League campaign by scoring in their 4-0 victory against West Ham last weekend and he looks set to feature again for Klopp’s side against Crystal Palace on Monday night.